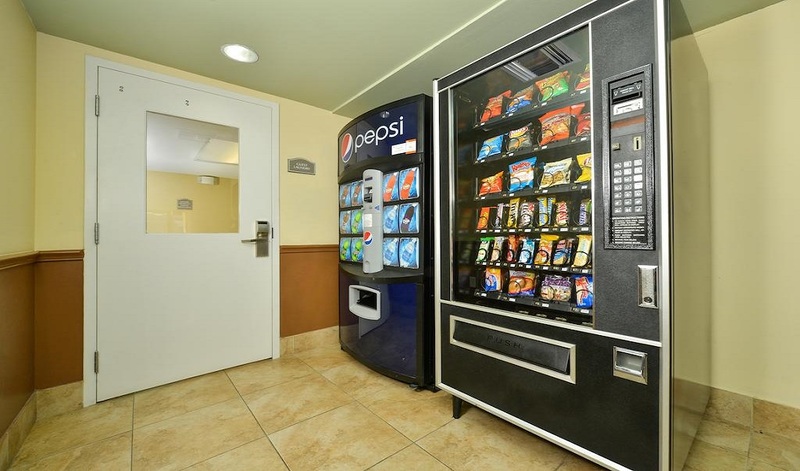 Get your money's worth at the Quality Inn & Suites near Fairgrounds Ybor City. 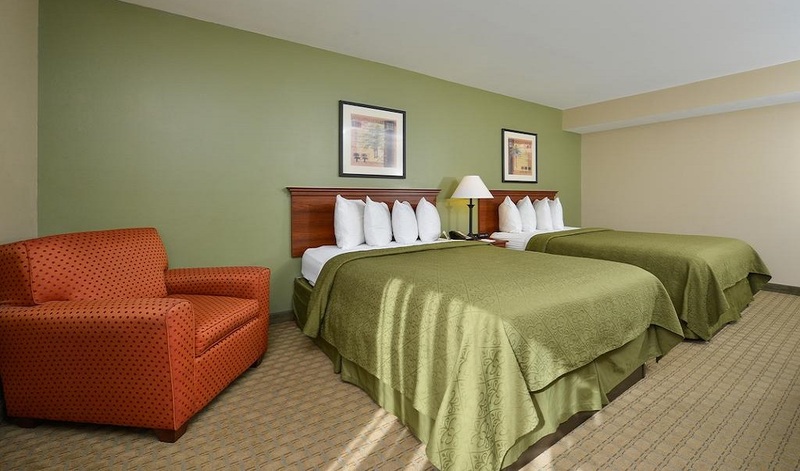 This Tampa hotel offers cozy guest rooms, friendly staff service and amenities that will meet your needs. 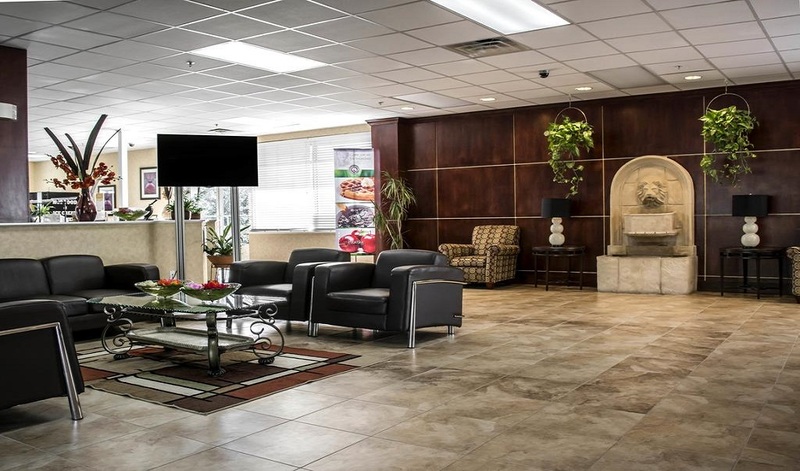 The spirit of collaboration and celebration start when you choose the well-appointed Tampa meeting space at our Quality Inn & Suites. Ideal for small executive meetings and special occasions, our hotel boasts 600 square feet of meeting space in Tampa and can host up to 63 colleagues. 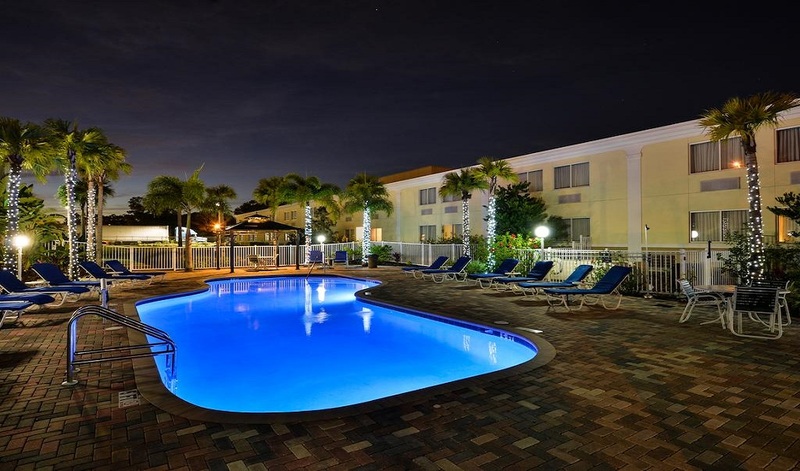 Welcome to Tampa, the distinctive jewel of Florida's west coast. Sun and water lovers will always love Tampa's white sand beaches, presteign gulf waters perfect for fishing and swimming, as well as skating, biking or jogging on the world's longest sidewalk along the gorgeous Tampa Bay shoreline. 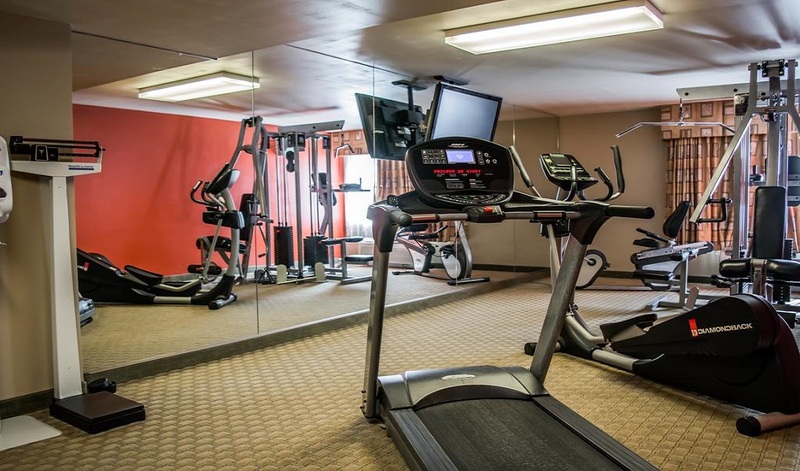 When you choose Quality Inn & Suites near fairgrounds YBOR City as your hotel, you will experience free WiFi, continental breakfast, shuttle service (7-mile radius, fees apply), fitness center and an outdoor heated pool. 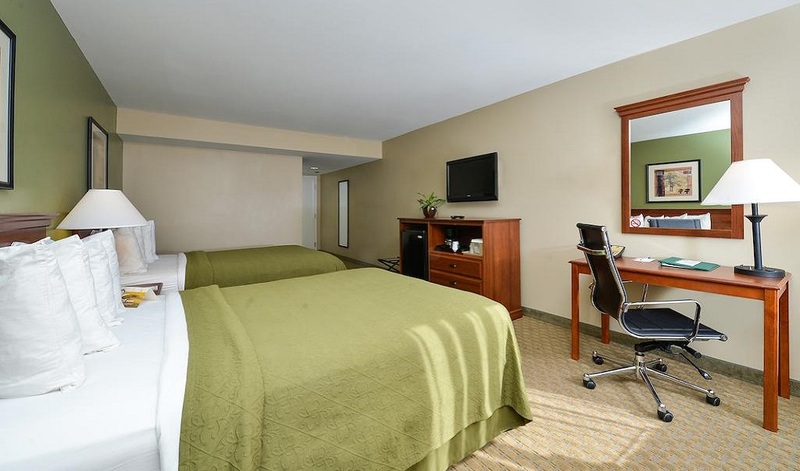 All of our inviting guest rooms feature TVs, hair dryers, coffee makers, desks, safes, refrigerators and more. The best part of exploring a new destination can be the new food you get to taste. You'll find plenty of scrumptious restaurants near the hotel, such as Council Oak Steaks & Seafood, Taco Dirty, Mekenita Cantina, The Local, Oxford Exchange, Ybor Eats and On Swann. Ready your wallets, Tampa hosts a variety of shopping experiences from luxury shopping malls to quaint, historic shopping districts. Time to fill your luggage with a new wardrobe from Channelside Bay Plaza, University Mall, Westfield Brandon, Westshore Plaza, Tampa Premium Outlets, YBOR City and International Plaza & Bay Street. Whether you want to see Tampa from boat, land or the sky, you can experience many exciting outdoor activities. From helicopter and balloon tours, to fishing, golf courses and boat tours, there is a fun activity for adults and children. The nightlife in Tampa is always as hot as it's sunshine. You will experience venues like the Blue Martini in Tampa's westshore business district or Green Iguana, a funky hotspot bringing the best local cover bands and the best high energy rock bands Tampa has to offer. Busch Gardens Tampa (formerly known as Busch Gardens Africa) is a 335-acre (136 ha) 19th century African-themed animal theme park located in the city of Tampa, Florida. It opened on March 31, 1959, as an admission-free hospitality facility for Tampa Anheuser-Busch; in addition to various beer tastings, they had a bird garden and the Stairway to the Stars, which was an escalator that took guests to the roof of the brewery. The Tampa Convention Center is a mid-sized convention center located in downtown Tampa, Florida at the mouth of the Hillsborough River. It has both waterfront views of Tampa Bay and views of the city's skyline. This hotel charges a resort fee of $1.00 per room per night. Good breakfast, service and location. Over all really good. It was a good stay. Nice and clean!,Grounds are very large and quiet. Staff was fine.Great value for money. 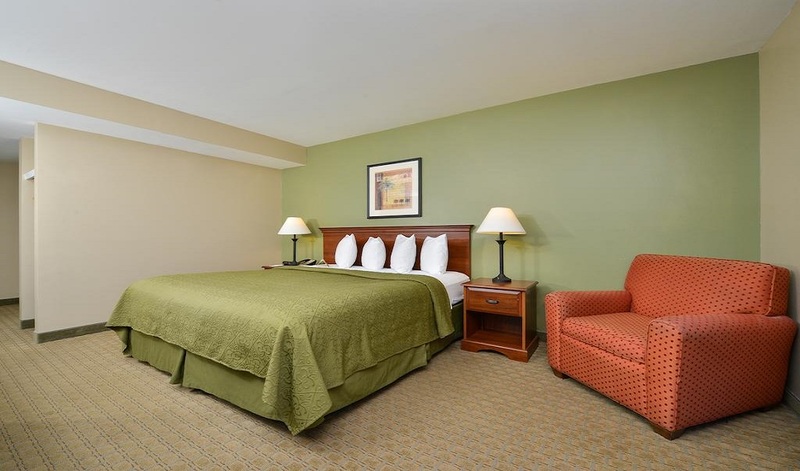 Big room, good quality linens, and easy on-off the I-4. 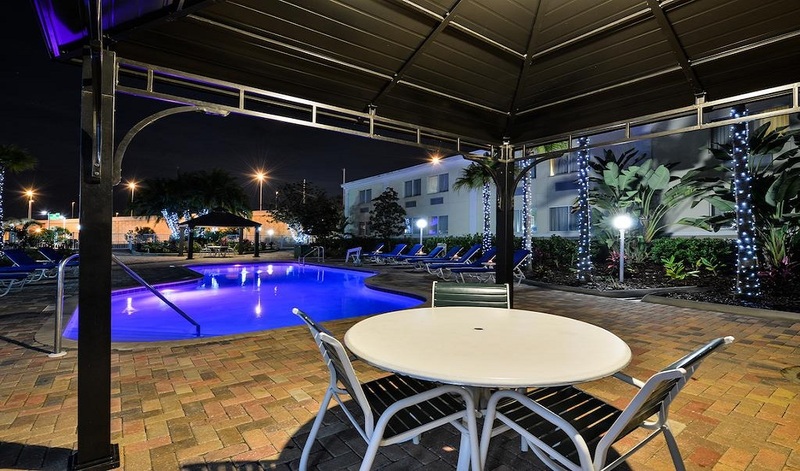 The hotel was clean and updated.The pool was nice and well maintained. Breakfast was very good. The staff was courteous. Will Definitely Book Here Again! Our room was fresh, meticulously clean, quiet and comfortable. The breakfast was included in the price. There was a wide variety of food and it was very tasty. The coffee was really good-(which is important to me.) The housekeeping staff were hospitable and friendly. I will definitely book here again. The staff there were very helpfull to me. 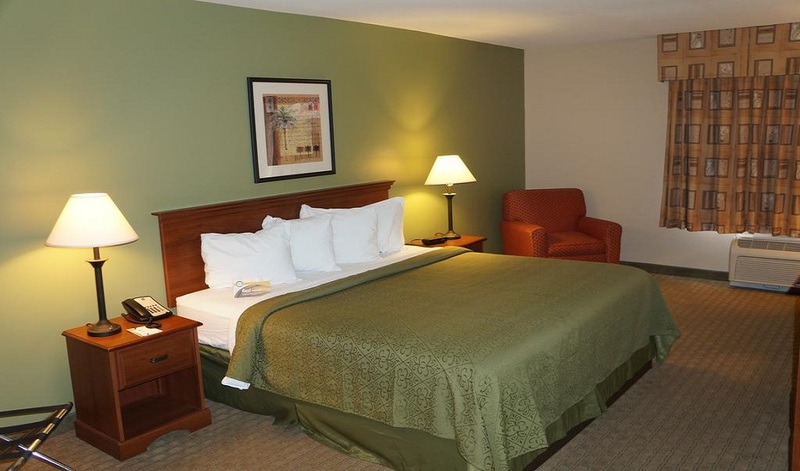 My room was in good condition and comfortable.Breakfast is standard fair for this price Motel. However I still recommend this place as good value for money and close to the freeway if you need to travel. Very clean, comfortable and clean beds. Warm swimming pool. Nice stay, would be back. Quick and easy breakfast. 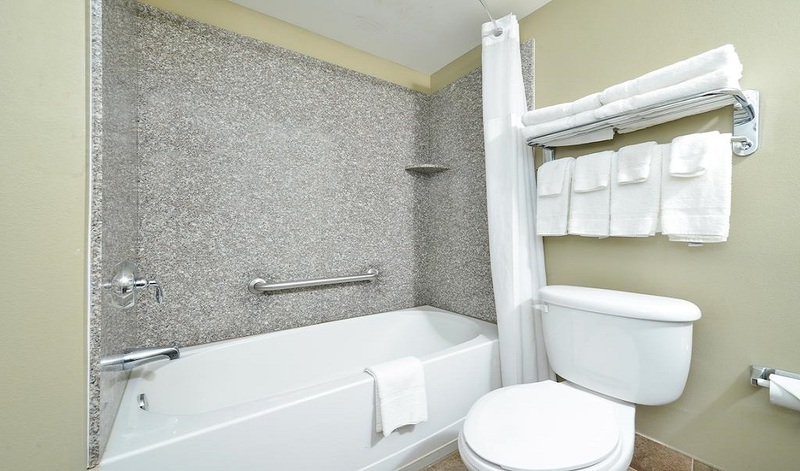 Rooms are very spacious, modern, clean. The breakfast was excellent with a variety to choose from. We really enjoyed our stay, we will definitely be back. We checked in late, about 11 at night, and left early, right after breakfast. Everything went smooth. The room was clean, smelled good and looked nice. Breakfast area was well stocked and food was fresh. Staff was attentive. Everything was very nice. Breakfast had anything you could want. It worked out fine.The shuttle to our cruise and free parking made it an excellent deal. Guest services were extremely nice & helpful.